Are you ready to travel to Cuba? Do you already have everything you need for your trip? 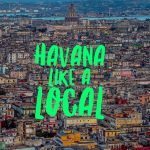 Well, if you are all set it’s time for you to start exploring what you can do once you’ll get in Havana. 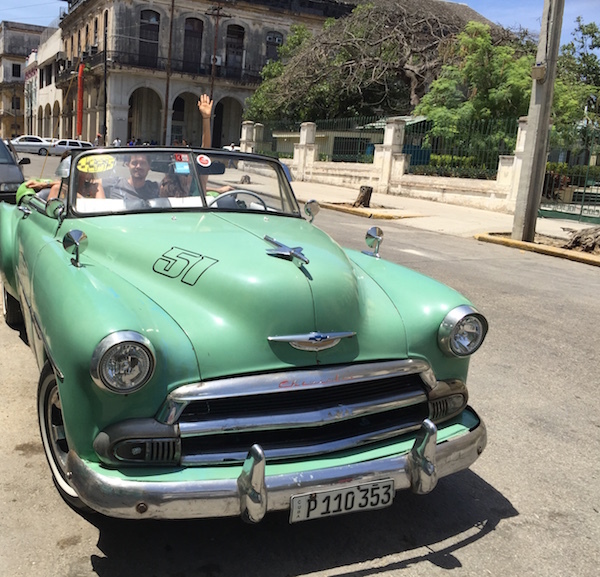 In this post I am going to tell you how to book a city tour in Havana by car. If it’s you first time ever in Cuba you might find everything absolutely new and incredibly fascinating. Although, once you’ll get to the airport in Havana you’ll find a little of mess around you. That’s why it might be better to book a cab before you arrive in Havana. You won’t bother yourself to find a taxi or to negotiate the price. I can help you to book a cab and to have a person waiting for you once you arrive. If you want to know more about it, read THIS POST. 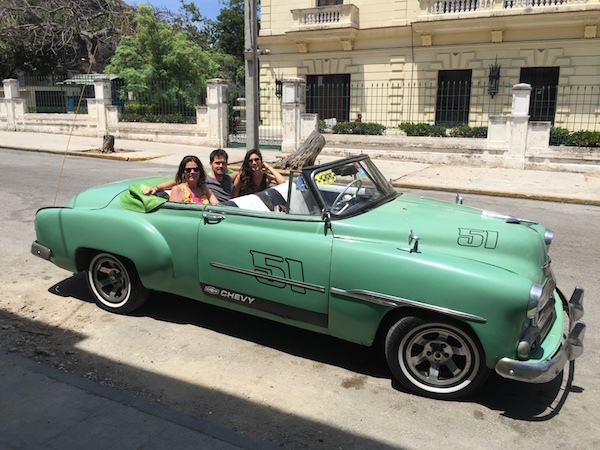 HOW TO BOOK A CITY TOUR IN HAVANA: CAR OR BUS? Now, of course one of the most charming thing about Cuba are the old classic cars. As you have probably seen in videos or pictures of Cuba, there are tons of Old Almendrones all over the island! And the cool things is that they are actually working perfectly. The first time you won’t believe what you’ll see. Some of them still have the original engine! And the most of those cars are before the Revolution. I have personally talked with several professional drivers about their amazing cars. They are all proud of their classic rides and they told me the history and how they got them. That said, there are several cars offering a city tour service in Havana and you have a wide choice of classic cars, convertibles or not. In Old Havana you can find a lot of these cars in front of the National theater (Teatro Nacional) , or in front of the Parque Central Hotel. So, you just need to approach a driver and ask him for a tour of the city. There are different routes and itineraries you can choose. Usually you can pick an hour or a two hours tour. A car is the best option if you want to have a typical tour of the city and enjoy it with your friends and family. Most of the cars allow you to ride in four people plus the driver. The price depends on the itinerary and the duration but it’s not expensive considering the unique experience. On the other hand you can decide to have a tour of Havana with a bus. There are several rooftop red buses you can take but of course my recommendation is to go for a car. First, you can ask the driver to stop for a second if you want to take a picture; second you can change the route and make little deviations on the itinerary; third you will have a more intimate ride with your family and friends. Now let’s see the places you can visit with a quick overview of the city. If it’s your first time in Cuba and Havana there are several places you must visit. It also depends on your travel and how many days you have planned to stay in Havana. Of course the most beautiful and charming part of the city is Old Havana, so be sure to have at least 3/4 days to stay in the capital. As you can see in the map above, there are four main areas in Havana: Miramar, Vedado, Centro Habana and Old Havana. With a city tour by car you can visit the areas you want, but it also depends on the time you have available. I’d say that you can visit all the four areas with a two hours tour. But I recommend to visit Old Havana first and then consider to visit the other districts. You can also divide the tour in Old Havana-Centro and Vedado-Miramar , since they are closer each other. Usually a city tour of Old Havana includes the typical and most characteristic places such as Capitolio, Malecon, The Royal Force Castle and the Tobacco factory. Of course there are several more spots to visit, but it’s better to visit them by walk since most of the places are not accessible by car. Also you will really enjoy walking along the streets and focus on every single detail of the old city. If you want to visit Vedado and Miramar you’ll pass by the Malecon and drive north. In Miramar I recommend you to drive along the Fifth Avenue (5ta Avenida). That is a beautiful street full of colonial villas. Most of them are now embassies. I have visited just Old Havana and Centro Habana with a 2 hours tour and I went all over the main areas of the old side of the city and Plaza de la Revoluticion in Centro Habana. Centro Havana is, as I say, the “real” Cuba since you can see the daily life of the city and not only the most touristic places. 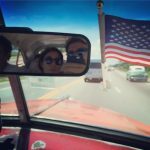 If you are looking how to book a city tour in Havana, you can fill out the form below and book a classic car before being in Havana. 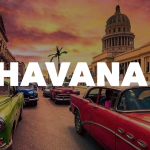 In this way you can also decide the best pickup location (even from the airport) and organize better your tour, especially if you are staying in Havana just for a few days.